Buying a property in malaysia is like making one of the biggest financial moves in life. It's like an investment that is bound to give returns in the long run. Similar is the case in real estate Malaysia, where a person can make ample money by buying a house. Buying property is not a decision that can be taken in a hurry. In fact, a lot of preparation and planning is required. Being aware of all the minute details is very important. If some things are kept in mind and followed aptly, many errors can be avoided. 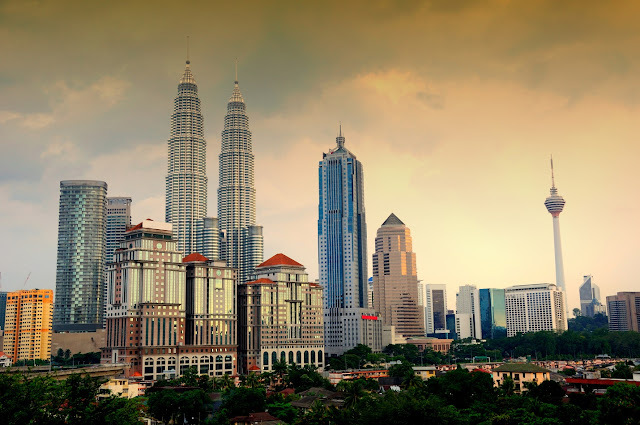 Here are some of the tips that can guide you in buying property in Malaysia. To ensure that you get a good deal in the real estate market, you first need to build up a strong network with experts, investors and fellow home buyers who will guide you in the attempts you make. There are a lot of ways you can benefit from real estate and having someone with inside knowledge helping you will make it a better option for you. Pick out type of houses that you seriously consider buying,be it an apartment or a condominium and list them down on a separate sheet. By doing this, you will spare yourself from having to tour an entire city singling out every and every house on the list when you know you probably wouldn't want to live in that neighborhood. Property prices can vary a lot even locally. A house very close to everything you want might be more expensive than moving a few roads away. Good public transport links, however, help to raise a property value, so look at any new transport links that are planned, as a home near one of these might be a good investment. It is important to determine your budget first before you go to the next step. How much are you going to pay for the house? Determining your financial capacity will prevent you from checking houses you cannot afford. You can rest assured that the houses you will see are within the price range suitable for the kind of income you are generating. This will also allow you to manage the expenses better to avoid foreclosure in the future. There are a lot of different mortgage options that range in everything from interest rates and payments to points and incentives. Ensure that you fully research all of your options and play around with payments. Find out what the exact monthly payment, length and interest accruement would be for each option. See the break down for each option available to you before you assume which one is best. This is a crucial task to find the right real estate agent who will be responsible for your decision. He not only saves your time and efforts but also helps in saving money. He will do all the market research and give you proper analysis so that you can easily compare the market value. Moreover, he will home inspection on your behalf this way you don't have to visit all the places which directly saves your time. In addition to which a good estate agent can easily negotiate with the owner and makes the deal profitable one. Unless you are capable of paying the property straight up, you can consider getting a loan to pay for the house. Always do your research so you can compare your choices. However, if you have your own agent, you don't have to worry about this.The home loan interest that banks charge will be determined by the Base Lending Rate (BLR) that is set by Bank Negara Malaysia (BNM).While it's good to have someone you can trust, it will be best if you could try to understand what's happening. Remember, the amount involved is not a joke. Before you commit to buying property in Malaysia, hire the best home inspector to give the property a clean bill of health. An unbiased, third-party inspector offers an independent review of the home. Inspectors check exterior conditions (roofs, chimneys, outside walls, decks), the heating and air conditioning system, plumbing fixtures, doors, windows and electrical outlets. They'll also look at the attic and crawlspace for proper ventilation and insulation. There are various extra costs involved in buying a house, including 6% government service tax to be charged on the real estate agent's commission, stamp duty, closing costs, attorney and lender fees, and insurance.Getting your property insured is very influential and hence, finding the precise type of homeowner's insurance is very important. It should be one that will pay right amount at the right time. As well as making a down payment of 10%, be sure to set aside enough money to cover these additional costs and any upgrades you'll have the desire to make for the house. After following the above steps and on successful completion it is time for you to sign the documents and finalize the agreement up to your level of satisfaction. After you have acquired the house, you can make improvements to your house as a way to enhance its appearance, basic safety, functionality, along with comfort. You can hire specialists in house renovations however the simpler ones you can accomplish yourself. Buying a house in Malaysia will allow you to use the space that you have according to you own requirements. When you live in a rented house you have lesser options to customize your living space. Your home goes by your rules and you can maximize the space that you have to the best use. When you buy a house, the most important thing to ask is if you have any specific needs that need to be taken care of. Chalk out your entire lifestyle and make a note of the things you cannot live without. These factors should be there in the house you purchase, so that your needs are met completely.To make the life of your family safe, it is necessary to analyze your locality before moving in. Talking to your future neighbors, checking out the amenities and getting the crime rate statistics of the area can help you gauge how good the community is. The more you check out, the better the chances are of you getting a home according to your needs.